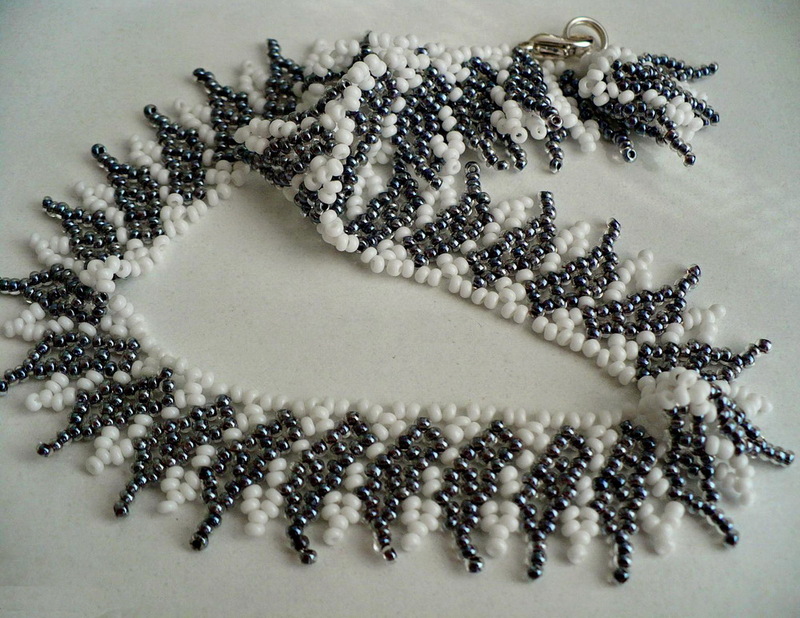 Free pattern for beautiful beaded necklace Summer Day. 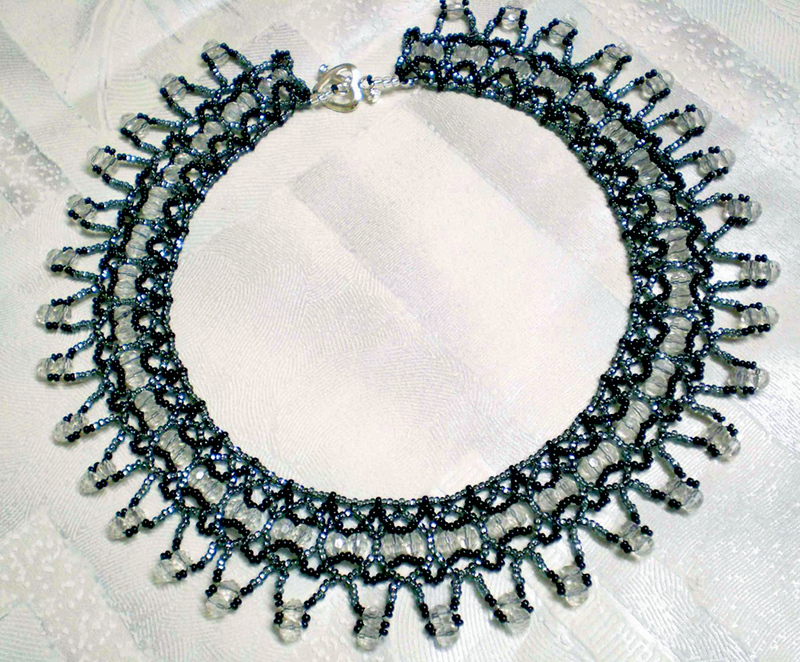 There is no pattern for cabochon but beaded laced chain is amazing even without cabochon. Just try it! 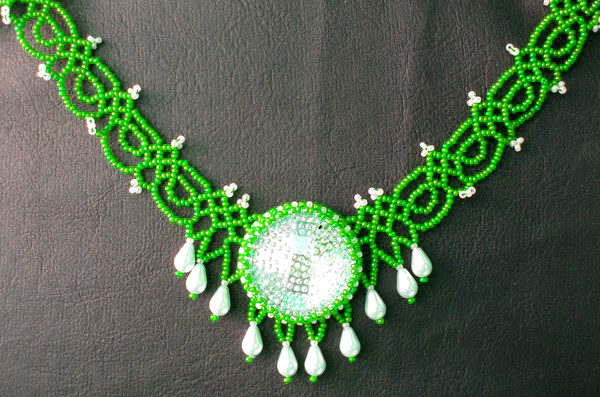 thank you so much for the beautiful green lace necklace pattern. 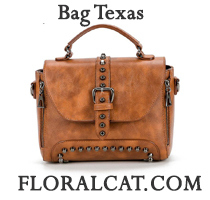 It is so refreshing to see something new and easy. Keep up the good work. 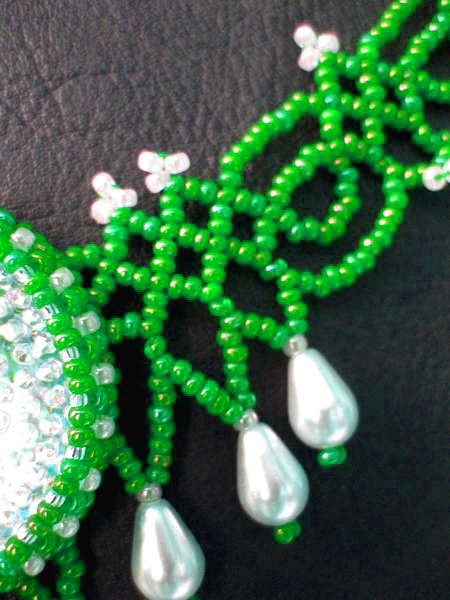 Amazing beadwork…..I know to make cabochon and the rest of the necklace is very easy…. thanks a lot!!!! Thank u so much for the new idea. Another beautiful idea! Thank you! 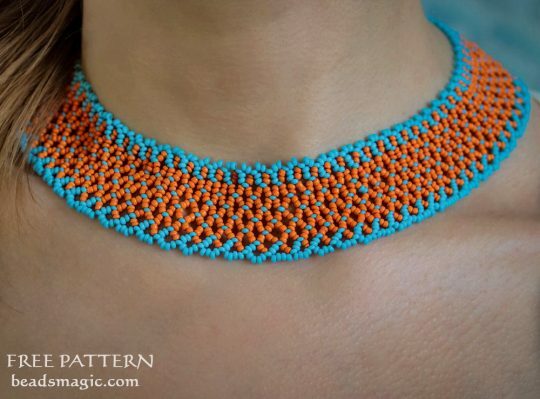 This is the same necklace as Juliette thats on here without the center piece.